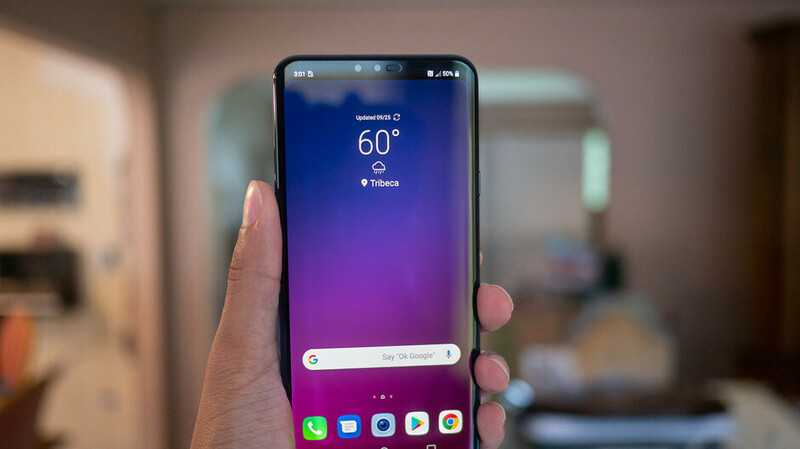 Much like Samsung, LG has been using tall displays on its smartphones since early 2017 and, more recently, embraced the display notch. However, going by the company’s latest set of patents, the controversial feature wasn’t always part of the plan. Filed way back in December of 2016 and granted just one week ago, LG’s patents envisioned three very similar smartphones with varying corner radiuses that all featured all-screen designs complete with uniform top and bottom bezels. This was accompanied by just one front-facing camera and a very Huawei Mate 20-like square camera module on the rear that is home to an LED flash and three image sensors. Also present on all three devices is a fingerprint scanner on the back. As this is simply a patent at the moment, there is no guarantee LG will ever implement this design entirely – the company has already shown that it’s a fan of the notch. But as the South Korean brand looks towards more advanced camera setups, perhaps the square camera module on the rear will be the best option. In either case, an implementation is likely still quite a way off. After all, the company has only just announced the V40 ThinQ which means another premium device from LG isn’t to be expected until May 2019 at the very earliest. If they can execute this without a crappy front camera, then it's good... Better than the notch, and Samsung's current implementation. That's the way to go if you can't truly be bezel-less.